Just try it. 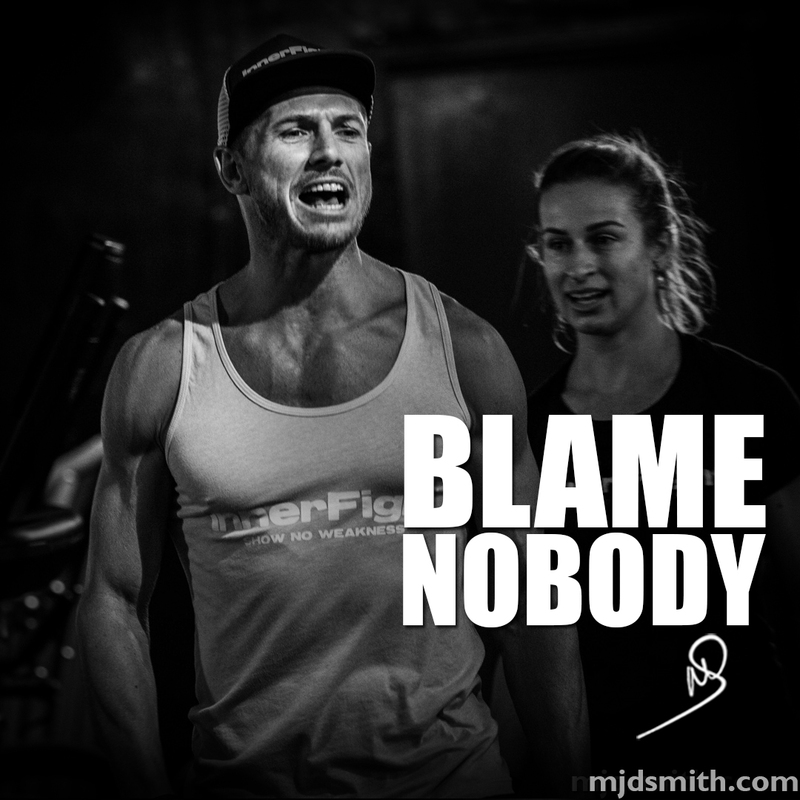 For one day put the blame onto nobody else, take 100% responsibilities for your actions from the very smallest to the very greatest. In life and in performance we hear too often a list of excuses as to why we could not or did not achieve something. it is a blame game where due to a number of variables it is becoming increasingly easy to get out of things by simply blaming someone else. I’m gaining weight……it’s my genetics. I’m not getting a promotion at work…….the management don’t like me. I’m not getting stronger……the program I am following is flawed. I’m still single….there are no good people left. I can’t commit to my fitness….I don’t have time. Take full responsibility, it’s your life, no one is going to do it for you and blaming other people does not help you live the best life, it just sends you backward.